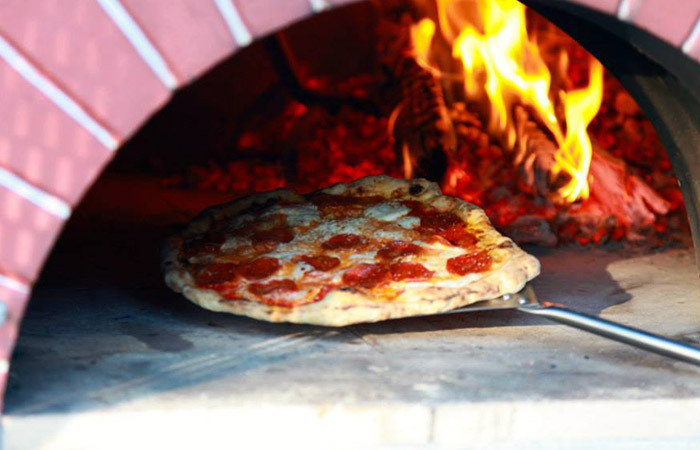 In Isabella’s acquired a state-of-the-art Mugnaini mobile wood-fired pizza oven; the first of its kind in Louisiana. The oven components are made in Italy, then shipped to the Mugnaini company in California, where it is assembled and mounted onto a custom built trailer. Isabella’s fires the oven with seasoned oak wood. When the oven reaches temperatures of approximately 900 degrees, it’s ready to go! 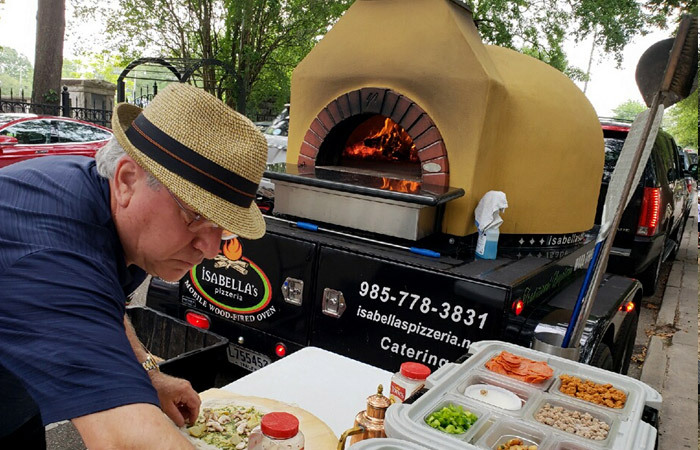 Isabella’s bakes Neapolitan pizzas in our mobile pizza oven. 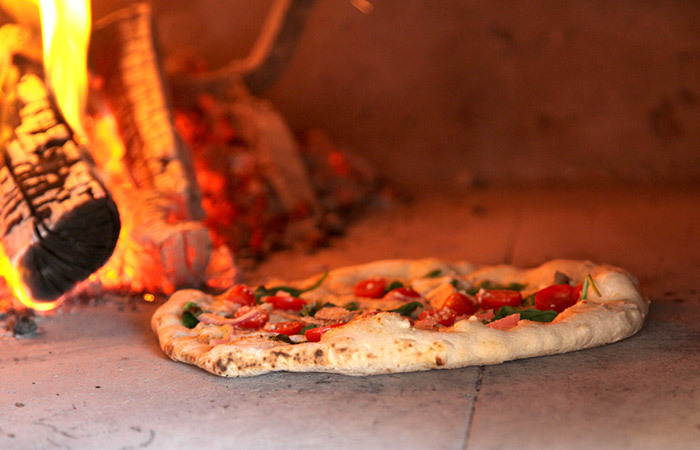 Neapolitan pizza is different in several ways. First, the dough is made with Italian Caputo wheat flour, yeast, salt and water – no sugar or oil, which renders an airy, crispy crust. Second, the sauce consists of tomatoes and sea salt. Third, the cheese is fresh mozzarella, which also imparts lightness to the pizza. Lastly, for the toppings, Isabella’s uses imported and fresh local ingredients. All of which combine to give you a gourmet pizza experience you won’t soon forget! We can cater to small and large event in the surrounding area of our location and also the New Orleans area. 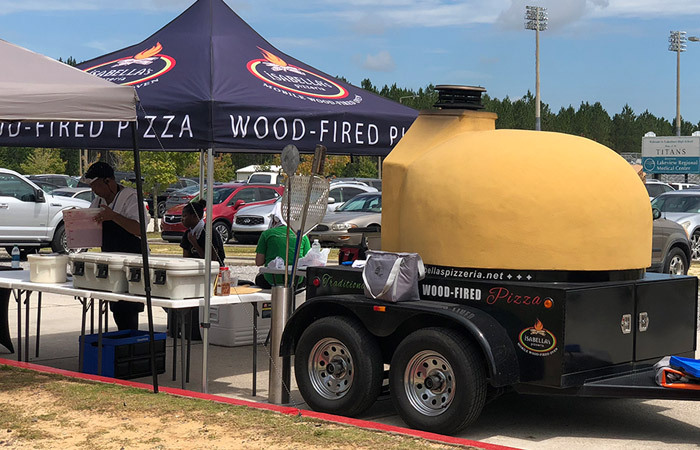 Our Mobile Wood Fire oven Catering Manager, Fikret Kazan will work with you personally to create an exciting menu of appetizers, salads and pizzas. 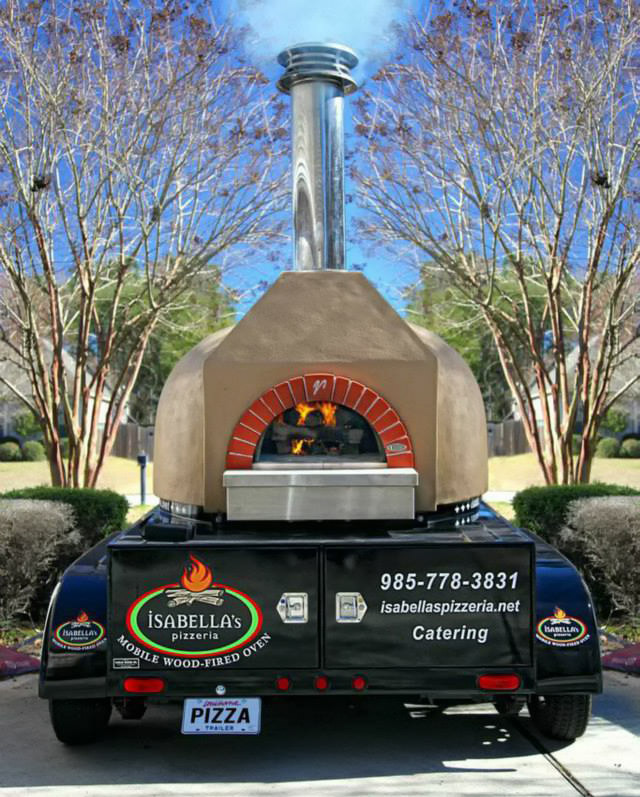 Let Isabella’s bring our mobile oven to your next private gathering or corporate event. To schedule your event, contact Fikret Kazan at (985) 778-3831 or kazanf@yahoo.com or feel free to fill out the private event inquiry on this page.